Grew up… the son of the King of Thesally, Aristo. Aristo is overthrown by the usurper, Pelias, who tries to kill Jason after hearing of a prophecy that one of Aristo's children will kill him. But Jason is saved, and then raised by a soldier. Living… as Zeus' chosen one to get revenge against Pelias. Zeus is angry that Pelias would subvert his cosmic design, and has decided that Jason would have his revenge. Profession… epic adventurer. Jason has made it his goal to obtain the mythical Golden Fleece. Of course, the Fleece is guarded by a Hydra, and the trip itself is very dangerous. In fact, a grown-up Jason runs into Pelias before he goes on his journey and, not recognizing him, Jason takes Pelias' advice to go on the journey. Pelias wants Jason dead, and this trip will surely lead to his downfall. Interests… getting his revenge for his fallen father, and obtaining the Golden Fleece. However, when he visits the gods at Olympus, he declines their help because Jason is the kind of industrious man who can find his own crew, and build his own ship, too. Zeus is seriously impressed by Jason. Relationship Status… single. But pretty much everyone is taken by Jason; all of Greece competes to join his crew. To join his crew is to become a legend, but are all of his friends to be trusted? Challenge… surviving the incredible dangers of gaining the Fleece. Can he manage to keep in the good graces of the gods? Jason may be courageous, but he's also a little too proud at times. Argus, the builder of his ship, urges him at one point to pray to the gods. 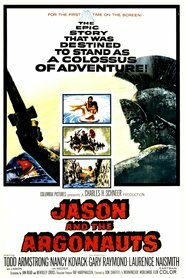 Jason is more defiant: "The gods of Greece are cruel! In time, all men shall learn to live without them." Personality… brave, self-reliant, and a skilled warrior. But is his excessive pride to be his downfall? Jason's popularity ranking on CharacTour is #4549 out of 5,000+ characters. See our top-ranked characters and read their profiles.